Imagine my dismay when I pulled on my favorite sweater and discovered a gaping moth bite on the arm. On closer inspection, I found more nibbles all over the sweater. After hearing from two local experts on creating a moth-free environment for woolens, I now know how to prevent a clandestine moth feast in the first place. 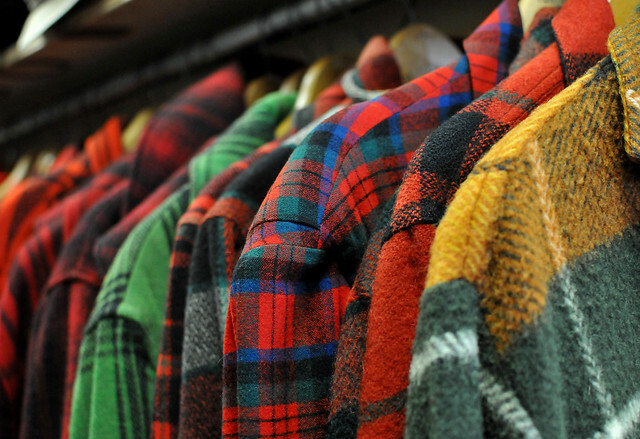 We recently wrote about the collection of vintage ski sweaters at Amalgamated Classic Clothing and Dry Goods and mentioned how important moth-prevention is to the longevity of wool sweaters. 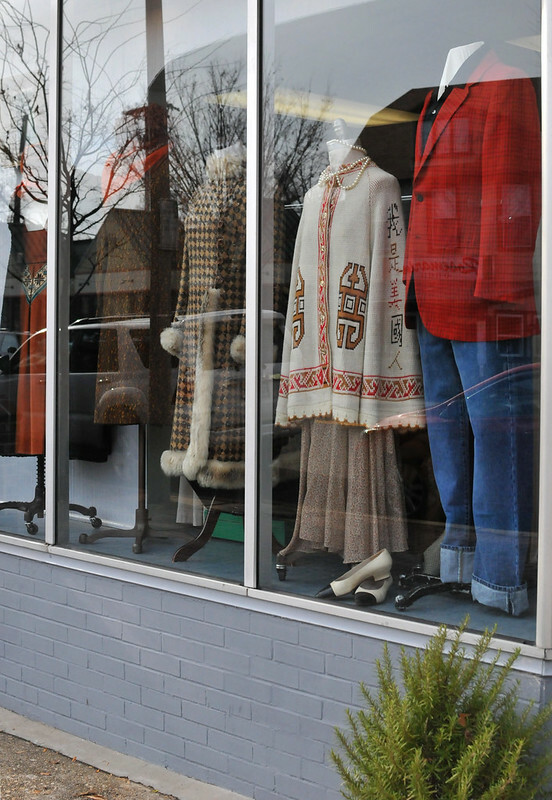 The sweater collection in the store, as well as their many other wool items, are pristine. 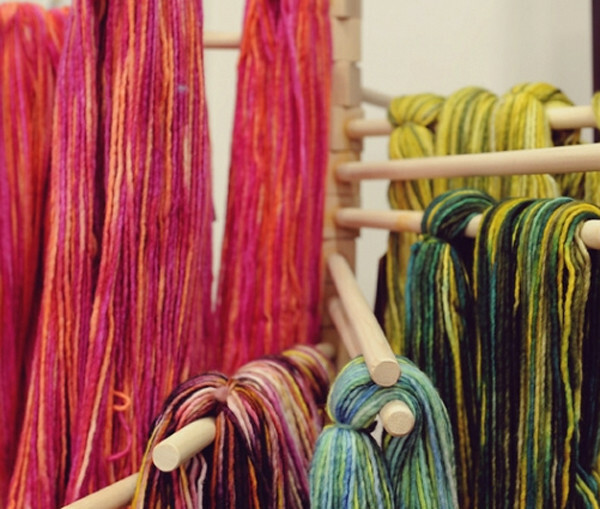 Fibre space yarn shop also takes a keen interest in keeping their vast collection of yarn moth-free. They don’t accept donated yarn “just in case” it’s carrying moths, and they have a 30-day return policy to make sure the yarn hasn’t had time for moth exposure. 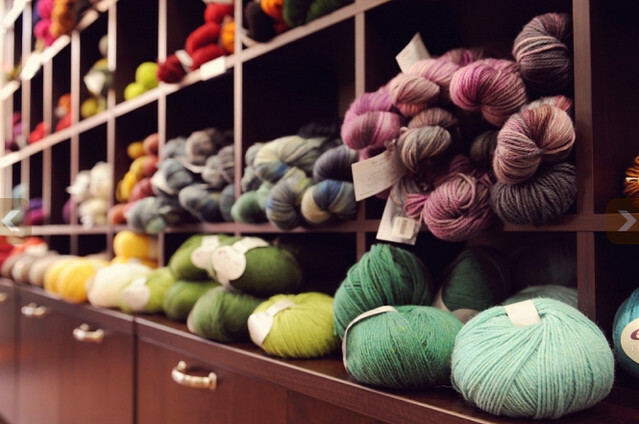 The owner of fibre space, Danielle Romanetti, and Deb Fuller, the Store Manager at Amalgamated, share their best practices for keeping their woolens moth-free, methods that you can follow at home as well. Use lavender: You can put dried lavender in sachets to repel moths and hang the sachets near the wool items. Beware of crickets: “Watch out for those huge jumping crickets,” says Danielle. They actually love to chew on natural fiber, but again they will leave it alone if it’s clean. Store in bags or bins: In the off-season, store items in garment bags or plastic bins. Avoid cedar and herbals: From a conservation standpoint, cedar chests and other herbals are not recommended for storage as the oils can leech into items and the deterring smell becomes less effective over time. Museums actually use chemical moth crystals or other pesticides as moth deterrents in their storage if they have to. Don’t use the Woolwash product: Never use Woolwash, says Danielle, as it is actually terrible to natural fibers. “I have many sweaters and enough yarn to last the rest of my life (and then some),” says Deb, “and don’t have a problem with moths. Everything is kept clean and either worn on a regular basis, so it’s exposed to light or stored in plastic bins. Easy peasy!” Danielle says they also “vacuum constantly,” in the store to keep dust from accumulating because, again, moths like dirty wool best. For more information on clothes moth prevention, see the University of California pest management site. And, if you do find holes in your sweaters, as I did, you might as well make good use of them. You can felt them in the wash and upcycle them into all sort of cool projects, like cat toys, ornaments, wreaths, and more. The fibre space store photos in this post courtesy of fibre space. Thanks for the tips! I really appreciate the post! Greets, Storage Nagshead Ltd. I have found that moths isn’t my problem when it comes to bitten/eaten fabric – its the carpet beetles. Any advice on these destructive critters? 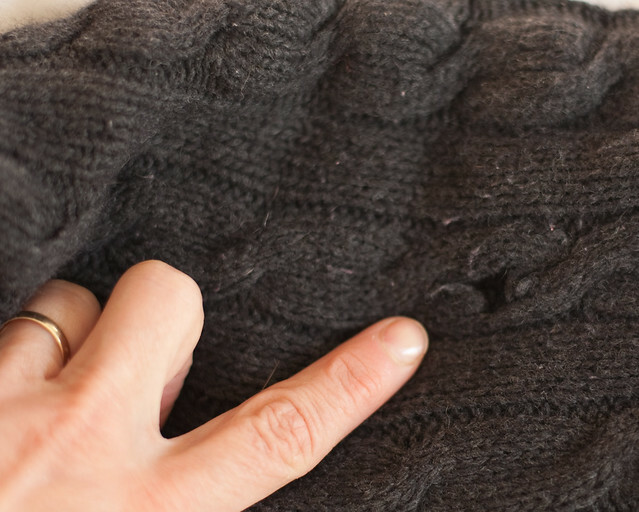 What is your opinion of mothballs or packets to prevent woolen fabrics?